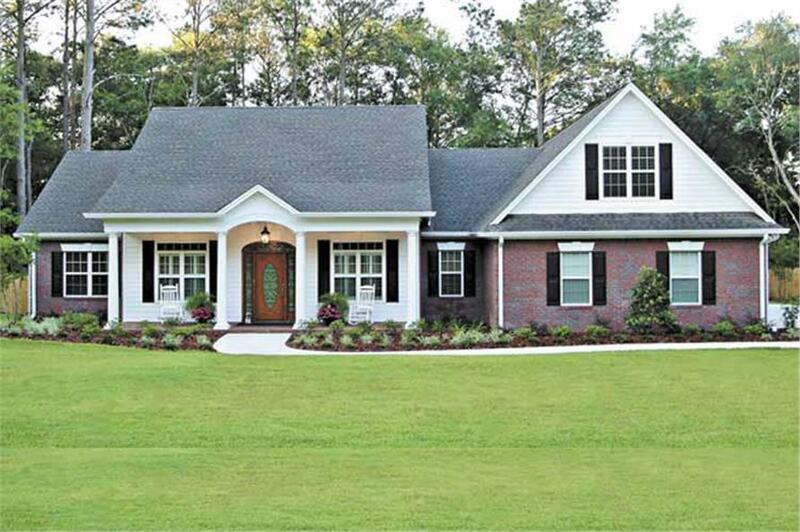 This traditional style ranch home plan is sure to capture your attention with its classic blend of brick, shingle siding and shuttered windows. 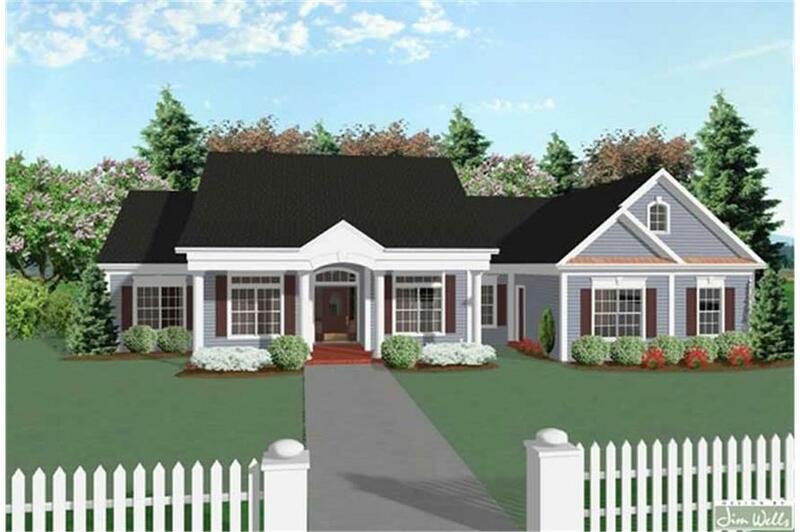 Elegant, round columns dress up this three bedroom, three bath, Southern country porch design. The open floor plan allows for easy entertaining. 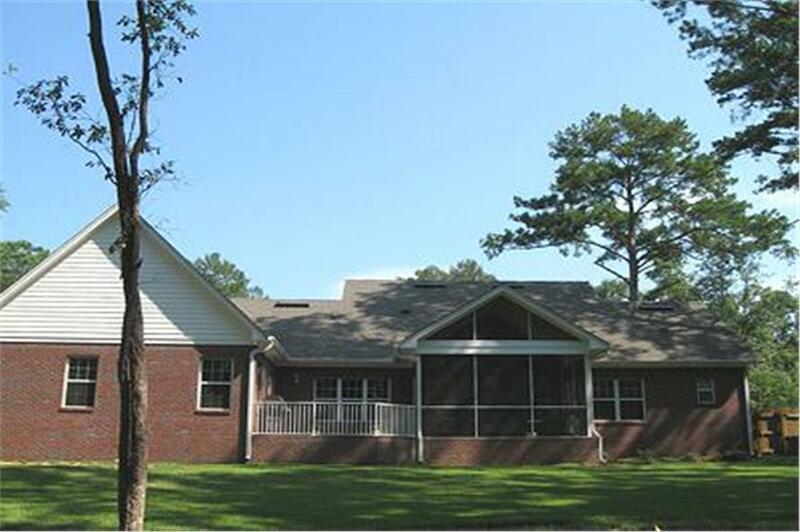 The large vaulted family room and enormous country kitchen make this home feel so much more spacious than one might expect of a 2097 sq ft design. 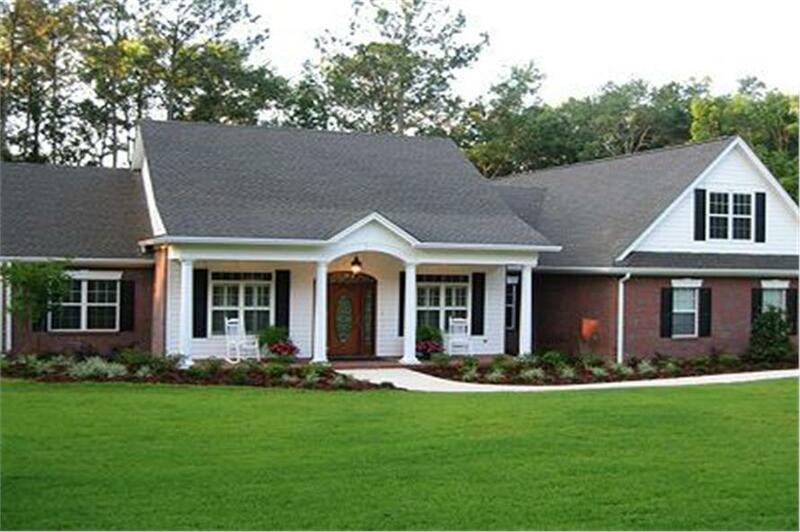 Another special feature of this ranch style house plan is the split master bedroom suite located on the opposite side of the house from the two other bedrooms maximizing privacy for mom and dad. Optional Foundations are considered modifications so please send us a modification request if you would like a free quote. Thank you!